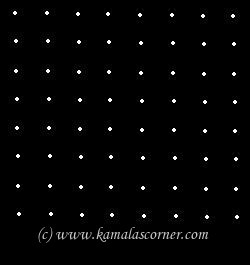 8 - 8 parallel dots (Neer Pulli) Kolam. Put 8parallel dots 8 lines. Join dots as shown above and fill with desired colour powders. 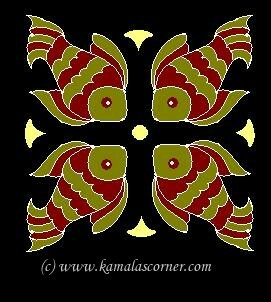 Thank you Indra Parasuraman. 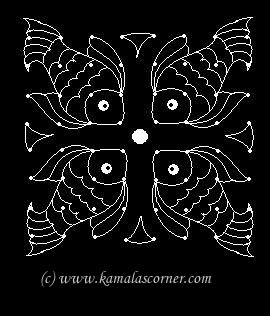 I have visited your site and nice kolams you have.